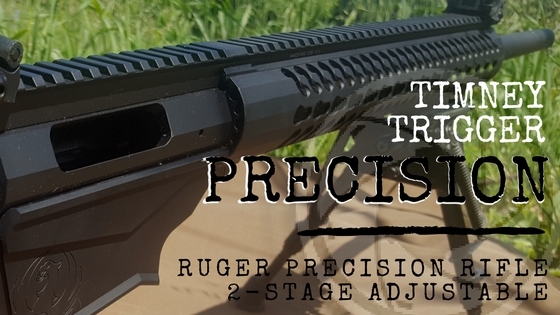 The new Timney RPR trigger is self-contained and ready to drop-into the Ruger Precision Rifle and offers an exceptionally smooth, crisp, and adjustable weight two-stage trigger pull. From the factory, pull weight is calibrated for half-pound first stage and one-pound second stage. But being adjustable, you you can get it exactly to your liking. First stage can be adjusted from ½ pound to one pound while the second stage ranges ½ pound to two pounds. The trigger is offered in straight and curved trigger shoes models. There’s a reason we became Australian Timney Trigger suppliers. Actually, there’s a few. Timney Triggers has become the largest trigger manufacturer in the world over the past 70 years. Their exceptional workmanship and attention to detail in manufacturing, use of quality materials and precision performance out-of-the-box. 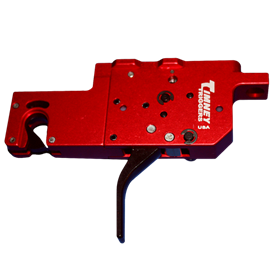 Each trigger is hand tested and calibrated backed up by lifetime warranty. We have had plenty of hands-on-time with Timneys building custom rifles and gunsmithing in our workshop in Adelaide SA. As shooters we love using them out in the field. Our customers have given great feedback too using them in real world applications on Remingtons, Mausers, Howas, Ruger, Weatherbys, CZ and more. If you want to get your hands on one, you are in luck. Even luckier if you want to be among the first in Australia to buy one. We are proud Australian suppliers for the Timney range and have the first batch of the new Timney Trigger Ruger Precision Rifle trigger en-route to our workshop in Adelaide, SA. Hop over to our online webstore to raise an order: https://shop.iceng.com.au/collections/triggers/products/ruger-precision-rifle-rpr-trigger-pre-order-special-price.